Consider a 1-day value-at-risk horizon. Suppose a portfolio holds AA-rated non-callable debt instruments. Because of the uniform credit quality, we treat cash flows settling on the same date as fungible for market risk calculations. Let assets represent individual cash flows. Specifically, each asset value 1Si represents receipt of USD 1,000 on actual day i. A partial list of active holdings is shown in Exhibits 9.1 and 9.2. Exhibit 9.1: Partial listing of active holdings for our example. Holdings are in units of thousands of USD. Exhibit 9.2: Graphical depiction of the holdings listed in Exhibit 9.1. Let’s start with a holdings remapping based upon a simple bucketing scheme. We divide assets into consecutive maturity “buckets,” each of 91 actual days length. All holdings within a bucket are summed and assigned to a proxy asset at the center of that maturity bucket. 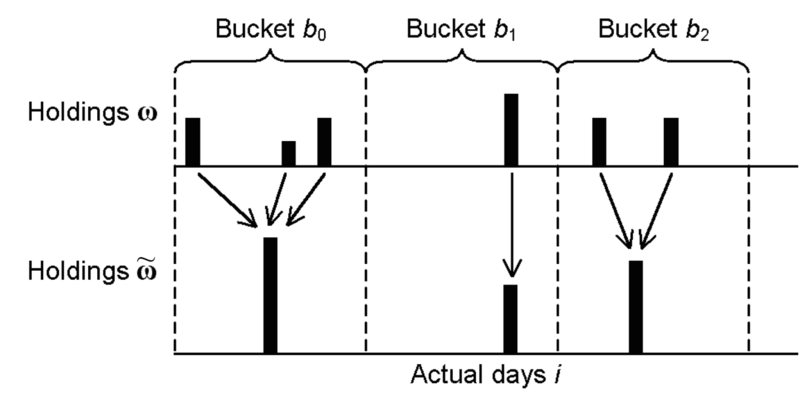 The first bucket b0 includes maturities between 1 and 91 actual days. As indicated in Exhibit 9.1, this bucket has three active holdings: 50, 25, and 50 thousand USD at maturities of 5, 52, and 72 actual days. Summed, these represent an active holding of 125 thousand USD, which is assigned to the proxy asset 1S46. Similar analyses are performed on the remaining buckets. Results for the first three buckets are shown in Exhibits 9.3 and 9.4. Exhibit 9.3: Remapped holdings obtained with a simple bucketing of the holdings ωi of Exhibit 9.1. Exhibit 9.4: With simple bucketing, holdings within each maturity bucket are represented with a single aggregate holding in the asset at the center of that bucket. 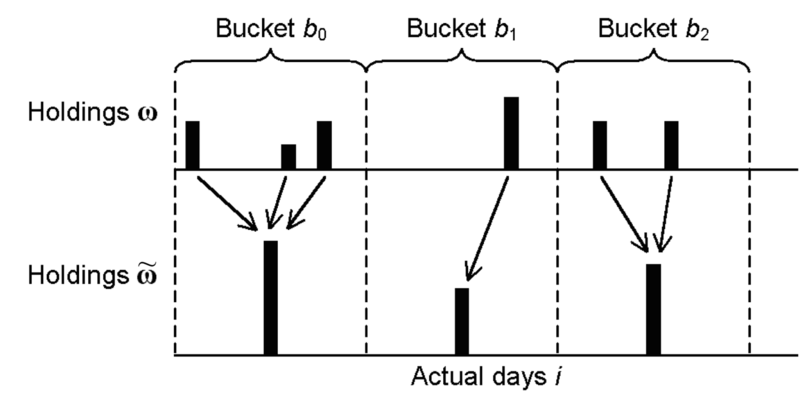 In this example, bucketing reduced the active holdings in the first three buckets from six to three. If our portfolio had several thousand active holdings across all maturities, similar bucketing would reduce these to a single active holding for each bucket. The example also illustrates a problem with simple bucketing. The technique does not preserve average maturities within buckets. It does not preserve the portfolio’s present value, duration, or other sensitivities to interest rates. The resulting approximation ≈ 1P may be poor. Consider a more sophisticated holdings remapping. We segregate assets into the same consecutive maturity buckets. Instead of representing each bucket’s cash flows with a single proxy cash flow at its center, we employ two proxy cash flows at either end of the bucket. Each cash flow in bucket b0 is represented with proxy cash flows of maturities 1 and 92. Cash flows in bucket b1 are each represented with proxy cash flows with maturities of 92 and 183, etc. The combined present value of the proxy cash flows equals the present value of the original cash flow. The Macaulay (1938) duration of the proxy cash flows equals the Macaulay duration of the original cash flow. Together, conditions [9.2] and [9.3] define two linear equations which we solve for a and b. Repeating this process for each cash flow and summing results, we obtain . The process is illustrated in Exhibit 9.5. 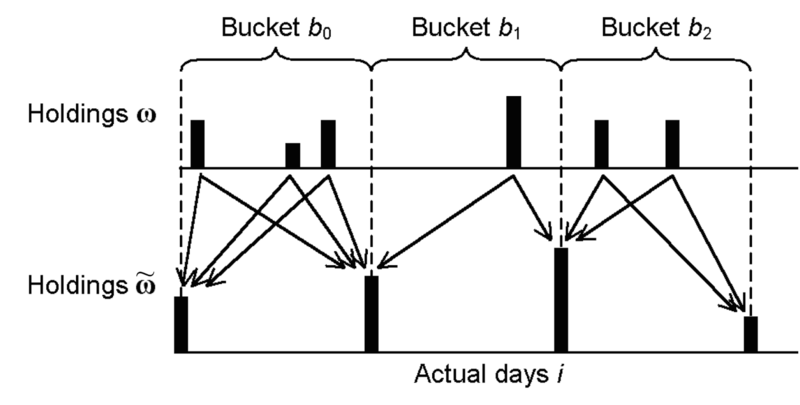 Exhibit 9.5: Within each bucket, holdings are each represented with two proxy holdings—one at the start of the bucket, and the other at the start of the subsequent bucket. 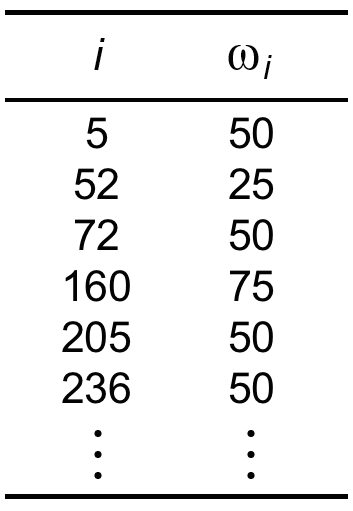 The size of each proxy holding is selected to preserve present values and Macaulay durations. Together, conditions [9.4] and [9.5] define two equations which we can solve for a and c. Repeating this process for each bucket, we obtain . The process is illustrated in Exhibit 9.6. 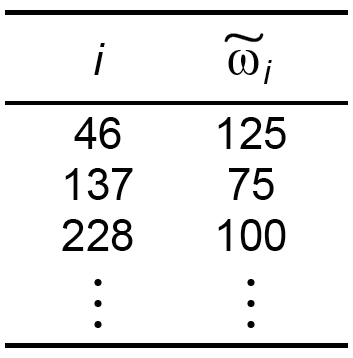 Exhibit 9.6: Holdings within each bucket are represented with a single holding within the bucket. Its size and maturity are selected to preserve present values and Macaulay durations. Because conditions [9.4] and [9.5] are nonlinear, solving for constants a and c for each bucket will require a numerical solution such as Newton’s method. Consequently, the mapping requires more computations than the previous one, but only modestly so. Other holdings remappings might be employed. Longerstaey (1995) proposes a holdings remapping that, based upon certain interpolation assumptions, preserves the value-at-risk of individual cash flows (but not of an entire portfolio).